Huawei certainly sells a lot of smartphones globally, but the company's presence in the United States is quite limited over national security concerns. The latest announcement coming from the Chinese handset maker doesn't help either, so fans in the US will probably have to refer to other retail channels if they want to buy any of Huawei's top-tier phones. 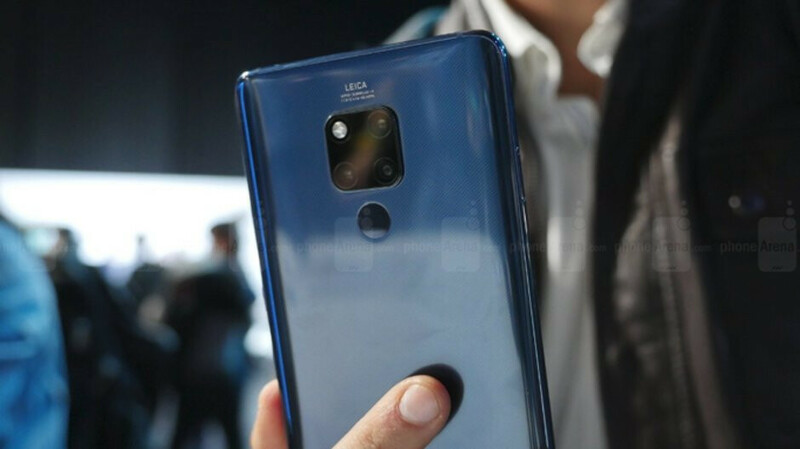 For example, the Mate 20 series will not be officially available for purchase in the United States. Huawei recently told Business Insider that it does not plan to sell any of the Mate 20 series phones in the US. However, customers who absolutely must own a Mate 20 series phone, will probably find international variants of them at various US online retailers. Although Huawei doesn't have anything against these practices, it does encourage consumers to “carefully read the details about the warranty and network compatibility” before buying them. On the bright side, Huawei said its new Watch GT smartwatch will soon be launched in the US for a price that will be announced closer to release. I saw this coming. After what happened previously, I'm sure that it isn't worth the effort. This is a huge win for Samsung in the US. Huawei would have made a major dent in their US sales. Although not always true, the East is heavily influenced by the West. Something that gets very popular in the US always attracts the worlds attention. If Huawei gets released and popular in the US, good chance that it would sell more in other parts. Nah, Samsung has nothing to worry about even if those huawei chinese clone phones were allowed into the US. Samsung Galaxy S9 and Note 9 is far superior and cost less. These Clone phones are taking technology forward when giants like Apple and Samsung have slowed down on innovation. I say slowed down, not stopped. There are many tech lovers in this site who would love for the Huawei to be released in the US. keep them coming in Europe Huawei. It's an easy way for Huawei to say "These phones are hard to make so we can't give it to the entire world." I have been importing phones since the first oppo find 5 and Huawei mate. Not one import has failed me yet except for the infamous xiaomi mi2 which was known for terrible build quality. I don't want this phone to be tied to a carrier. I'd rather import it fully unlocked. It's really ashame. The Mate 20 Pro looks stellar. Really wish this could have come to the US market. Is there even any validity to the whole security concern issue?? From my understanding, there is a security issue. Huawei did something quite some time back and US is in no mood to entertain another possibility. I am sad that such great phones won't be coming here. But it is a matter of security so I guess its okay. No they didn't, there has never been any evidence of spyware on Huawei smartphones, and lots of very smart people have tried to prove otherwise. That is just political non sense. There isn't any security concern about Huawei. They just hate the idea that a Chinese company gaining market share in US. A loss both for Huawei and for US customers. I have used two huawei phones: the Mate 9 and nexus 6P. Both were excellent phones. Apple and Samsung doesn’t want anyone else in their sandbox. I hate it when the obvious is stated. And a cheaper price which i would take over items that i don't want.